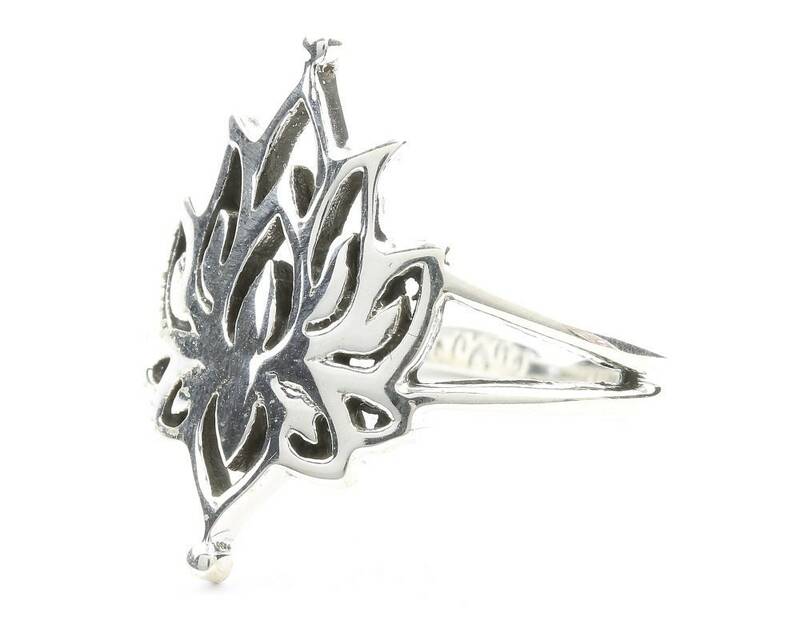 Intricate sterling silver open Lotus design. 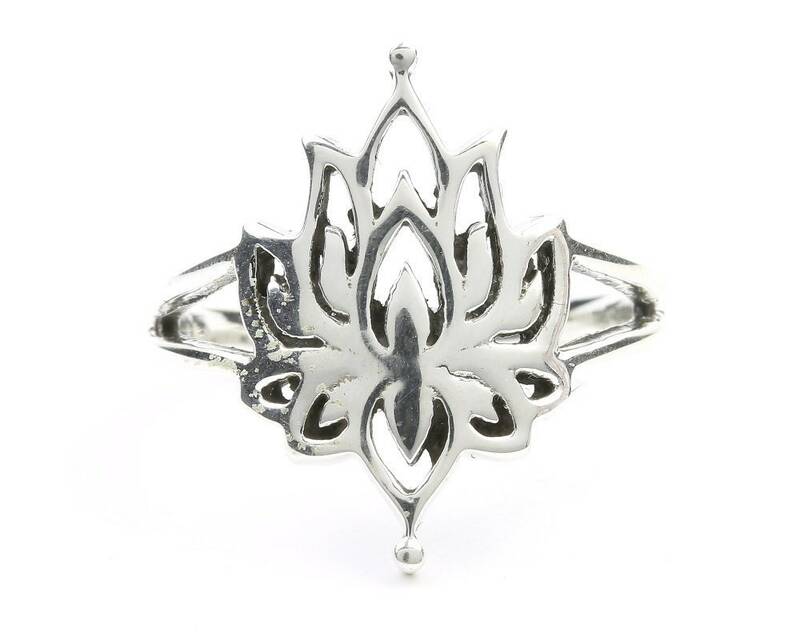 The lotus is a beautiful symbol of purity and spiritual awakening. I love this ring! i have been searching for a lotus flower object and they all fall flat. This one does not, its so pretty!